MEMORY HiCORDER MR8847 | ACA TMetrix Inc. 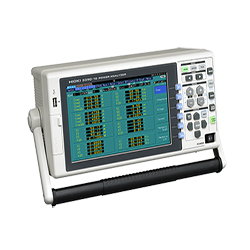 Categories: Products, Oscilloscopes, HIOKI E E CORPORATION, Sectors. 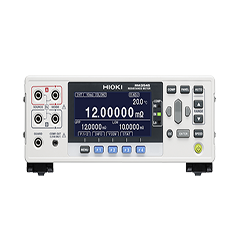 Hioki Memory HiCorders are high-speed waveform monitoring and recording devices that can simultaneously measure multiple physical phenomena such as voltage, current, temperature, vibration, weight, acceleration and rotation due to complete isolation between channels and from each channel to the ground. Factory-installed option – not user installable, built in on the bottom case. 10 to 28 V DC drive. 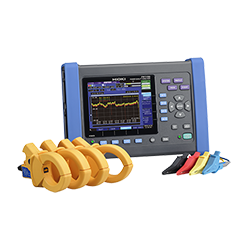 * Please contact your local HIOKI distributor (TMetrix) for connectors that support Model MR8791. *Voltage to ground is within this product’s specifications. Separate power source is also required. * This cable is not required for the small-terminal types 9327, 9320-01, 9321-01 and MR9321-01. * Not necessary when using Current Unit 8971. 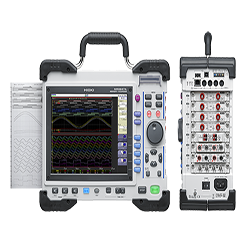 • DC to 10 kHz (-3dB) • 100 A AC/DC rated input • 200 mV/f.s. output via the CT6590 • φ 35 mm (1.30 in) core dia. 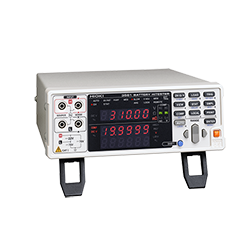 • DC to 20 kHz (-3dB) • 200 A AC/DC rated input • 200 mV/f.s. output via the CT6590 • φ 33 mm (1.30 in) core dia. • DC to 15 kHz (-3dB) • 2000 A AC/DC rated input • 200 mV/f.s. output via the CT6590 • φ 55 mm (2.17 in) core dia.